This homeowner wanted to create a cozy, welcoming terrace to link the home’s kitchen with a very unique entertaining space in the barn. 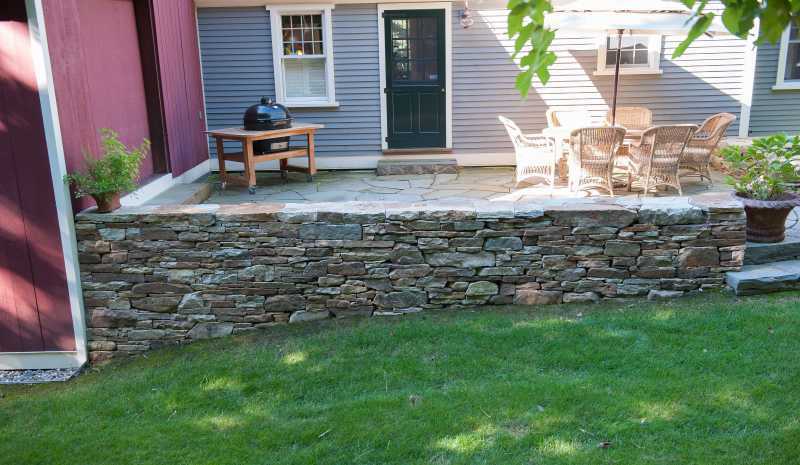 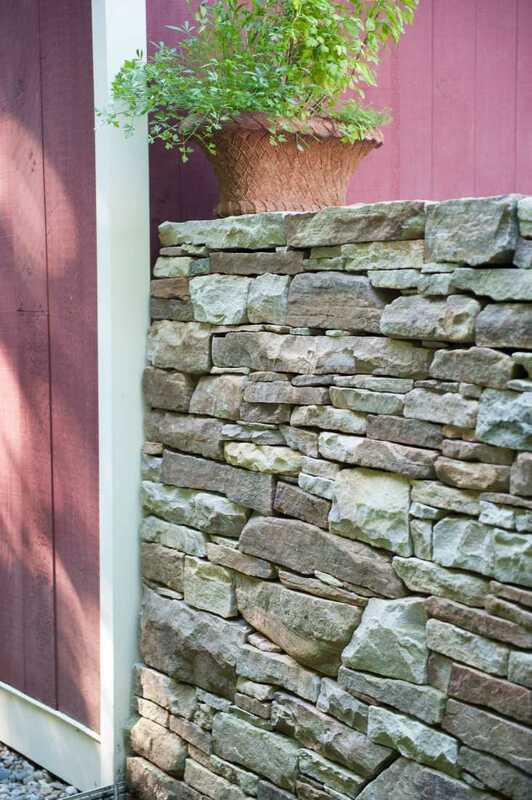 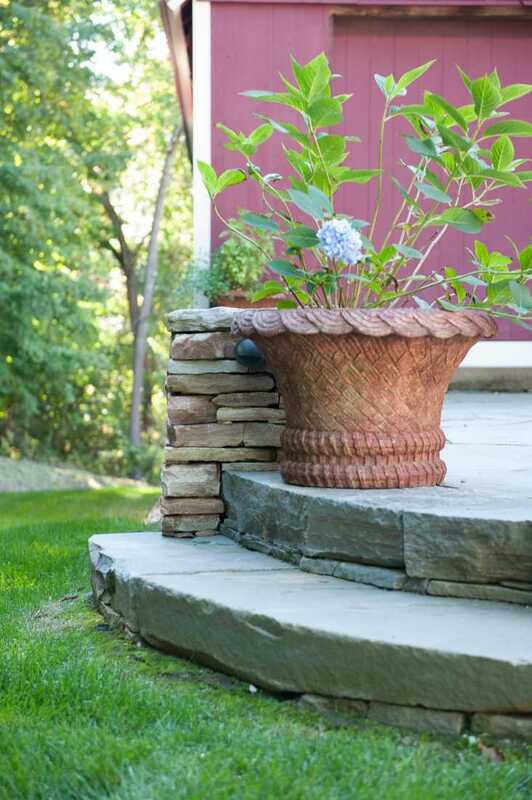 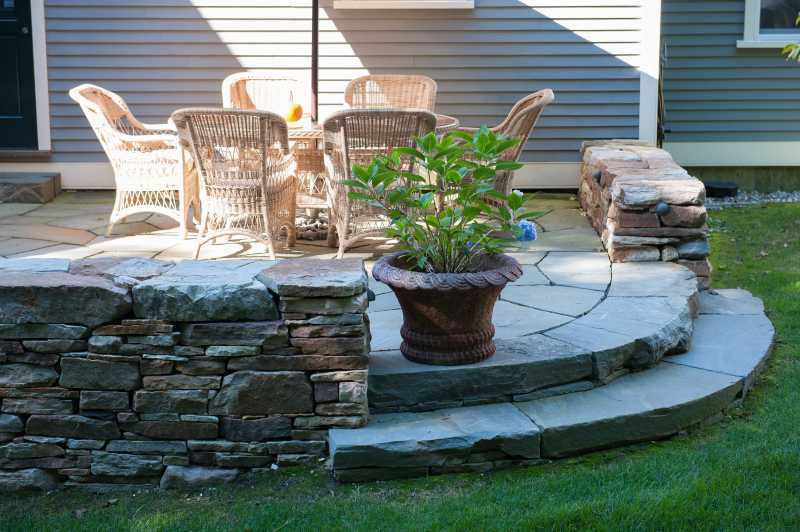 We used Adirondack fieldstone to construct the walls and irregular bluestone for the terrace and the steps, which was all custom-fabricated on site. 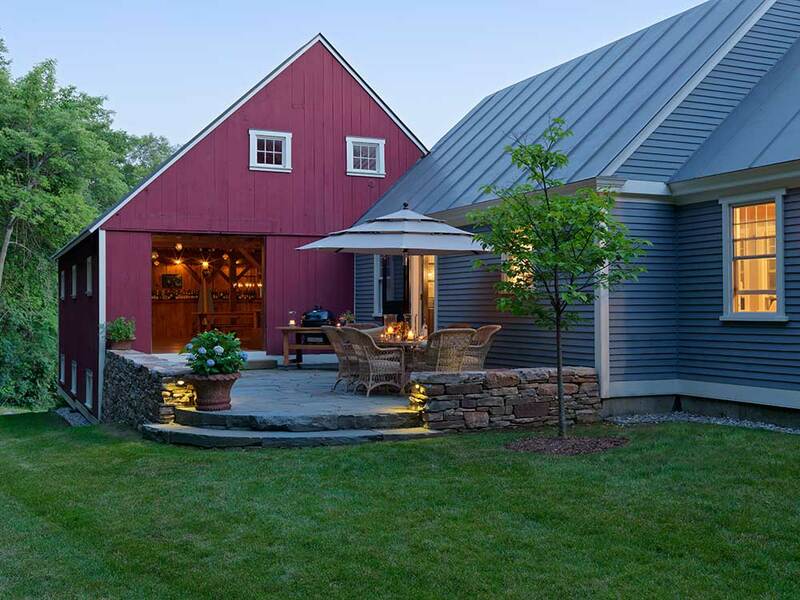 To make the finished space more inviting, we added landscaping lighting to illuminate evening parties, and a new stone drip edge to catch run-off around the house and barn. 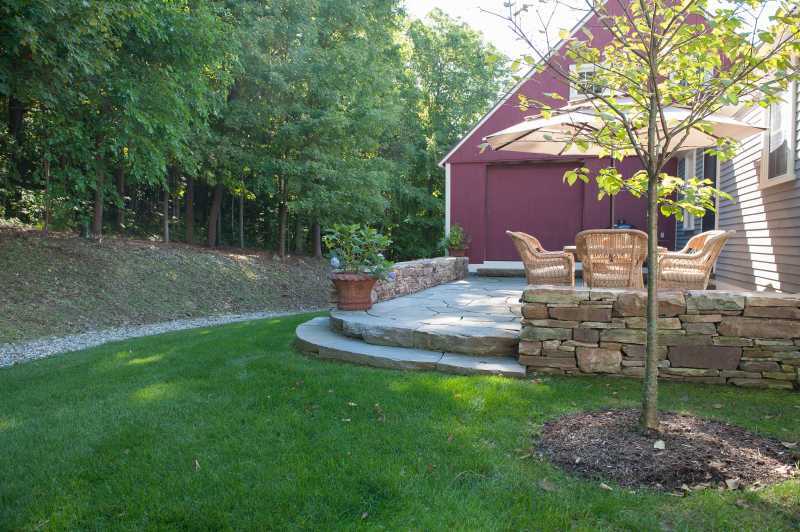 The finishing touch was a young lilac tree that adds definition and a light fragrance to the space. 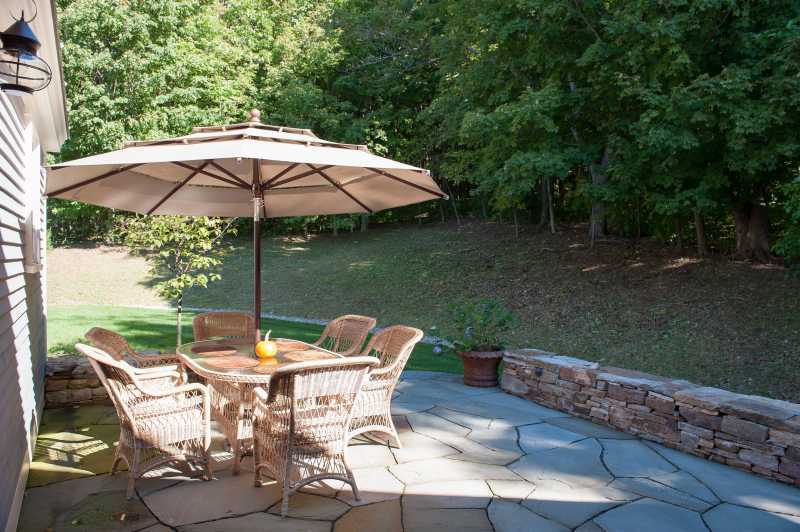 Photos by Susan Teare Photography.